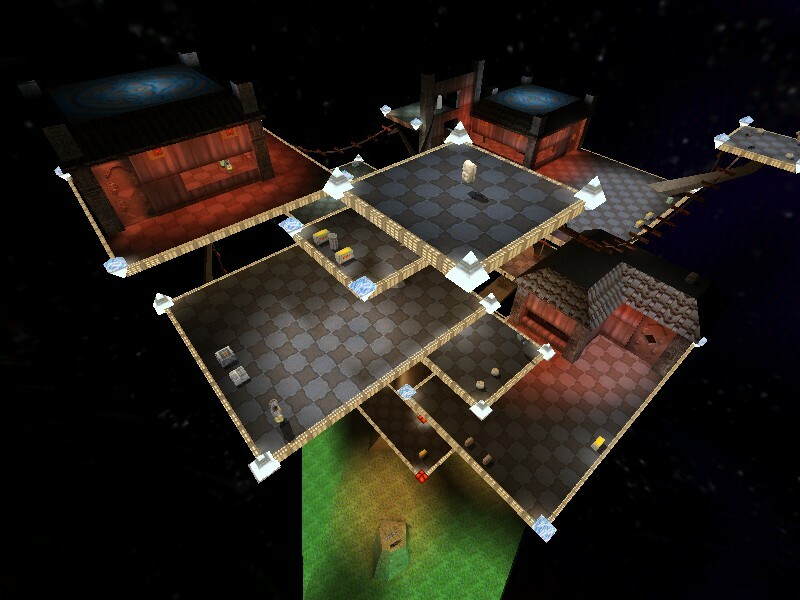 This is the most original map concept I have seen for a deathmatch map, but unfortunately the gameplay does not seem to live up to the level of originality. Starting most spawns near a weapon is a step in the right direction in terms of balance, but more could have been done to enable a player on the bottom to reach the top levels of the map and to allow people to escape the top levels without consistently falling to their doom. The ladders and rope bridges were very cool tho and worked a lot better than I expected at first glance. Creative map, but can not be played in fluid way. For example: The location of Railgun is frustrating. Gameplay is bored and frustrating too. The idea behind this map is quite refreshing compared to the usual death-match. I don't really care much for the connectivity of this level. some platforms i think, needed more care in the way in which they were placed. and/or to maintain the upper-hand on your opponent. The way in which this was delivered is a bit flawed, but some aspects make up for it. The tree is pretty nice, but i reckon you could have joined the verts a bit better. I agree with many of the things mentioned by the judges. The most innovative map of the contest and that tree is cool (it's really hard to make sth like that with brushes! 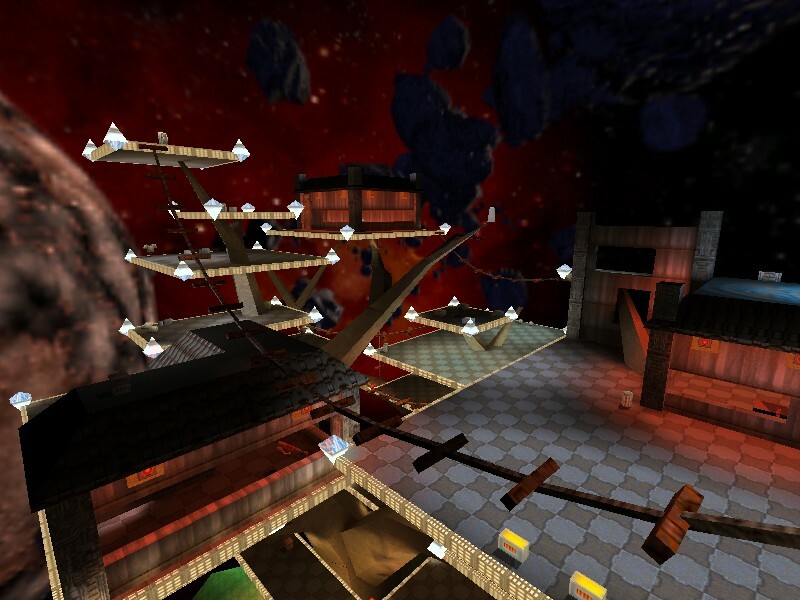 ), but the map lacks playability. 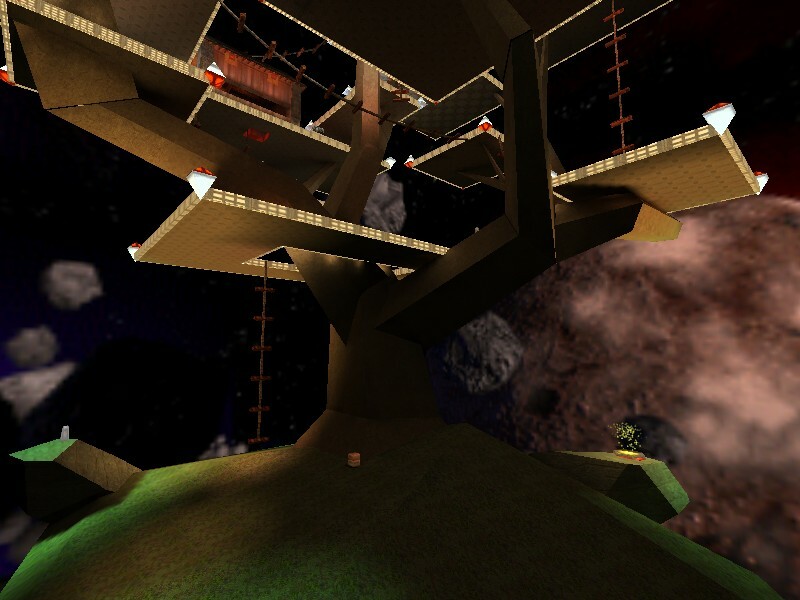 On an inet server with some opponents shooting at ya and a bit of lag, navigating that tree may get nasty. Seriously! whats up with the ancient head?? I'm thoroughly confused! 2. The value of health where the mega-health countdown stops as it wears off. 3. The amount of health you instantly get when you pick up an adrenaline. So that's what's up with the ancient head. As far as the railgun, it's a very important weapon in this map, as it's all one open area. Therefore I put it somewhere that's not terribly easy to get at, but is reachable under some amount of cover from a player that's hanging around the upper areas of the tree. Cest la vie - I just had to make a tree... It'd never been done! Thanks to all for their time and comments, and I look forward to seeing the other maps! This is a super cool concept and very hard to pull off. I've yet to see a natural object like your tree in Q2 done as well. It's always been a shame that the Q2 engine has so many limits, visible polygons being the most frustrating. Oh well! I kept picturing that tree covered in bodies, the one from 'The 300'. Thanks for the compliments! I use Qoole 2.5, so i didn't even try to get the verts on some of the branches to align properly.